A WWE Extreme Rules 2016 Preview – Bullet Club or Balor Club? Life seems pretty good for AJ Styles these days, doesn’t it? He’s been on the main roster for less than five months, and he’s main eventing his second pay per view. For the WWE Championship, no less. Oye. Look at that picture. Baron Corbin is decent int he ring, but he REALLY needs acting lessons. It’s like Ziggler found a deer in the headlights and decided to snap a pic. Still, that deer is going to beat him. 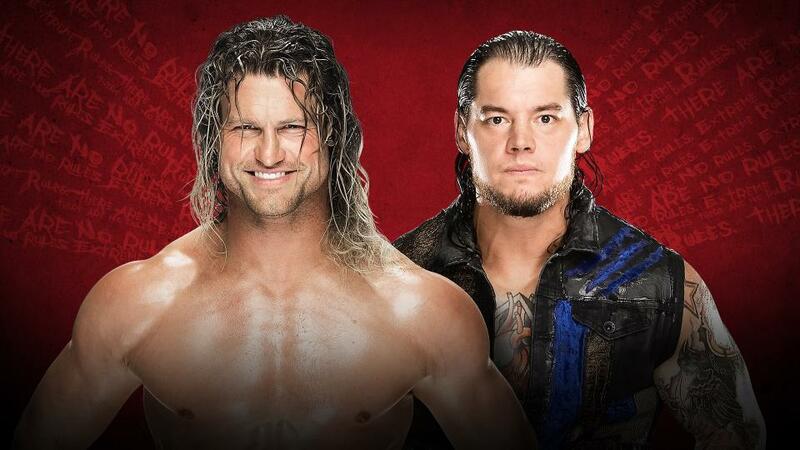 I’d have thought this would have been over and done with by now, with Corbin having solidly beaten Ziggler at Payback. I was pleasantly surprised Ziggler got a pay per view win out of this deal, but it’s time to end it. I’m not sure who Corbin goes with after Ziggler. Maybe a smaller undercard guy like Kalisto or Zack Ryder to play up the bully factor? It’s clear Corbin still has a lot of learning to do. Hopefully he was able to make the most out of his time with Ziggler. As of last Monday’s Raw, I’ve officially soured on Kalisto as US Champion. Not because of anything he did, but because the booking just hasn’t done anything for me. For some reason his latest loss to Alberto Del Rio that night made me finally throw my hands up. How many losses does that make to Del Rio this year? I understand he’s a smaller guy and has to get beat up, maybe even pinned by bigger guys once in awhile. But I really think Kalisto had (and still has) it in him to be something special in the vein of a Rey Mysterio Jr. JBL even made that comparison on Monday. But they’ve tucked this poor guy away on the pre-show for months now, and he’s just flat. There’s no buzz. 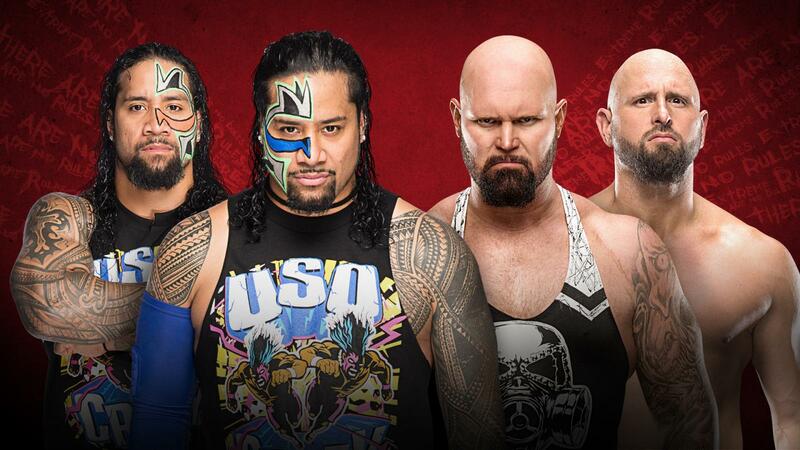 It’s time to cut losses on Kalisto’s run with the US Title. At least for now. Is Rusev the guy I would have picked? Eh, maybe. Taking the belt back might put some shine back on Rusev, and God knows he needs it after being stuck in the League of Nations. But I’m worried his act with Lana is a bit too similar to what The Miz and Maryse are doing. Miz, of course, is the Intercontinental Champion. But I think the pros of putting the belt on Rusev out-weigh the cons. So I’m going with The Bulgarian Brute becoming a two-time champ. Better luck next time, Kalisto. When was the last time we saw a Texas Tornado Match in WWE? I can’t remember one offhand. I imagine it’s been quite awhile. As I’ve said previously, I like that The Vaudvillains have been able to come off as cruel, sadistic heels. They put Enzo Amore out of action, they leave The New Day laying, and they revel in it. That’s actually the kind of thing I expected the Dudleys to do when they went heel. But The Vaudvillains need that mean streak more. It balances out their silly, cartoony persona and allows them to be taken at least a little bit serious. That being said, I don’t think there’s any reason to take the belts away from The New Day. They’ve got a great thing going, and they’re over. It’s been such a long time since a tag team that doesn’t consist of main eventers (i.e. DX, Rated RKO, etc.) has been over like this. They’re special. And I just don’t see it as the right time for them to take a big loss. Plus, Simon Gotch and Aiden English have unfinished business with Enzo & Cass. 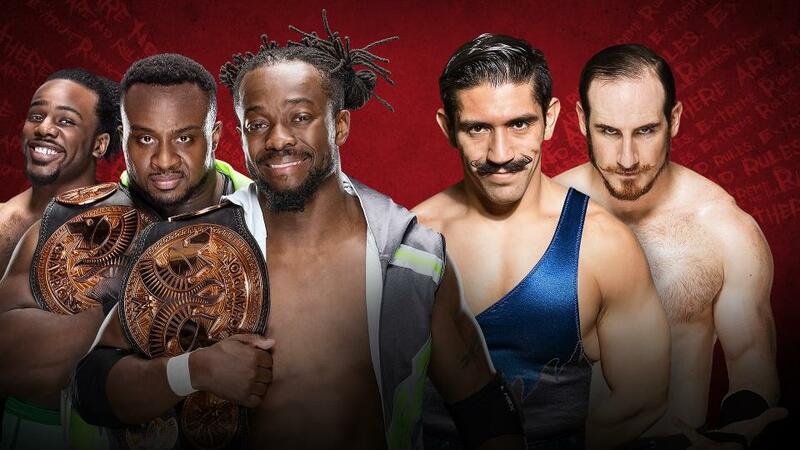 Let them tend to that while The New Day face their next challengers. 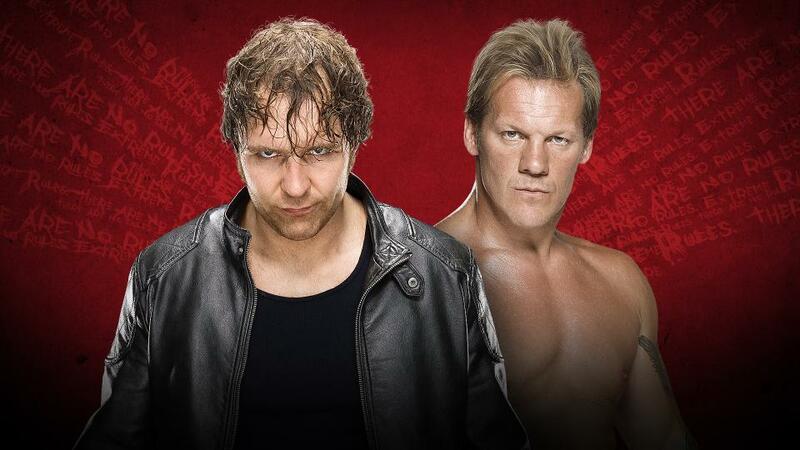 There’s a pretty good chance this match will steal the show. 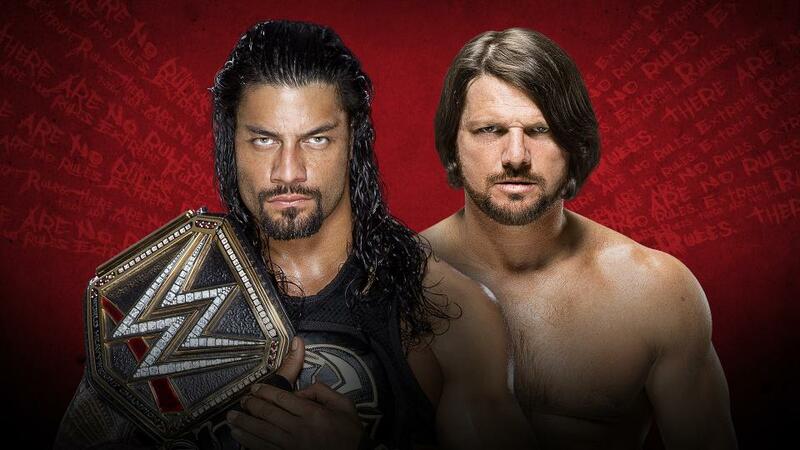 Consider what all these guys have to offer individually, and it’s hard not to look at this match as such. As talented as Owens, Cesaro, and Zayn are, I still don’t think it’s the right time to take the belt off Miz. He and Maryse have a good thing going, and I think he’s got at least another month as champion in him. I do see the belt eventually going to Sami Zayn, possibly midsummer. I can see Zayn vs. Owens in an Intercontinental Title Match at Summerslam. Of course, it’s possible all these men may be involved in the Money in the Bank Ladder Match next month. So perhaps the best time to switch the title to Zayn would be in a singles match in July. Either way, Miz comes out on top here. If Ric Flair appears at ringside, Charlotte loses the title. From a creative standpoint, this program with Charlotte and Natalya hasn’t been mind-blowing. Hell, they rehashed the Montreal Screwjob. What does that say? But this is probably the highest profile program Nattie has ever been involved in. And she deserves it. I don’t see Charlotte losing the belt here. So how do you get out of this match? They did the crooked ref thing last month, so that’s out. You’ve got to figure Flair gets involved somehow. Maybe he shows up on the tron? Maybe they dress him up like a camera guy? Either way, hopefully they won’t make this a clean win for Charlotte. Granted, Nattie will still have to tap out. But a few underhanded tactics will soften the blow for her. A rumor popped up recently that Paige would indeed be Charlotte’s next opponent. The idea is that they’d be feuding over Alberto Del Rio to coincide with the photos that recently leaked of he and Paige together. I call BS on the storyline, but I do expect Paige to get a title shot. She did pin the champ, after all. Then again, Paige just lost to Dana Brooke on Smackdown. So who knows? Reigns and Styles did really well last month. There’s no reason they shouldn’t do well this month. Either way, Reigns walks out with the title. The good news is, if Finn Balor is the plan here, Styles has a built-in program going into Money in the Bank next month. Of course, there’s always the chance Styles could win the Money in the Bank Briefcase, which opens up a whole new set of possibilities. This entry was posted in Wrestling and tagged Aiden English, Alberto Del Rio, Asylum Match, Baron Corbin, Big E., Bullet Club, Cesaro, Charlotte Flair, Chris Jericho, Dean Ambrose, Dolph Ziggler, Finn Balor, Kalisto, Karl Anderson, Kevin Owens, Kofi Kingston, Luke Gallows, Maryse Oullet, Natalya (WWE), Paige, pro wrestling, professional wrestling, Ric Flair, Rob Siebert, Roman Reigns, Rusev, Sami Zayn, Simon Gotch, The Miz, The New Day, The Usos, The Vaudevillains, WWE, WWE Extreme Rules, WWE Extreme Rules 2016, WWE Money in the Bank, WWE Money in the Bank 2016, WWE Payback 2016, Xavier Woods on 05/20/2016 by primaryignition.